The 10th Forum @ Kanada Haus initiated by the Embassy of Canada in Berlin and the German-Canadian Association e.V. focuses on aspects of cultural diplomacy, exploring current strategies and challenges in Canada, Germany and on a cross-national level. How are governments supporting their cultural actors globally? How are they working together to promote common ideas? And how can we define ‘culture’ in new technologies and media? Die Regionalgruppe Rheinland lädt zum diesjährigen Maple Table im Restaurant Bundeshäuschen in Bonn-Königswinter ein. Das Restaurant bietet wie in den vergangenen Jahren kanadische Spezialitäten wie Elch, Rentier, Lachs und Bison sowie original Canadian Lager Beer an. In gemütlicher Atmosphäre direkt am Rhein besteht während des Dinners die Gelegenheit, Geschichten zu erzählen, Reisetipps zu teilen und Kontakte zu knüpfen. Am 5. April 2019 findet unsere erste Lesung mit dem Reisejournalisten und Autor Christian Dose statt. Christian Dose wird uns sein neues Buch: „360 Kanada-Träume: Tipps für eine unvergessliche Reise im Land des Ahorns“ präsentieren. Der sympathische Autor und Journalist aus unserer Region ist ebenfalls DKG Mitglied und begeisterter Kanada-Fan. Die DKG Regionalgruppe Bremen trifft sich zum regelmäßigen Stammtisch jeden dritten Mittwoch im Monat. Zu leckerem Bier und passendem Essen laden wir Mitglieder und alle Kanada-Liebhaber der Region in das Irish Pub Hegarty’s ein. Wir freuen uns auf den Austausch und einen netten Abend mit euch. Das nächste Treffen ist am 20. März. Wir laden Euch ganz herzlich ein zu einer weiteren Veranstaltung der Deutsch-Kanadischen Gesellschaft und der KANADATREFF-Community in Düsseldorf. Unser Thema ist die AHK in Kanada mit diversen Referenten, wie Cornelia Schwizer, Hans Harald Grimm sowie Michael Vossel. Nähere Details folgen in Kürze. Anmeldung: über diesen Link https://bit.ly/2uuDXHs, Plätze sind auf 32 Teilnehmer begrenzt. Für weitere Rückfragen stehen wir gerne per E-Mail (rheinruhr@dkg-online.de) zur Verfügung. With a vibrant McGill alumni community in Germany, we’re thrilled to organize an exciting McGill Alumni Weekend Get-Together this Fall! Join friends old and new in McGill’s ‘takeover’ of the oldest “university city” in Germany. Events include a tour of the fascinating old Universitätsstadt of Heidelberg, and Saturday dinner at the historical Ritterstube zum Ritter St. Georg in the Old City. Register early by emailing madeline.cathcartbohr@mail.mcgill.ca. More details to come in the next few months. We are happy to announce that the Young Transatlantic Initiative, Canada Meets Germany Network e. V. and the German-Canadian Association came together to initiate a new exchange program for young professionals in Canada and Germany, which is called Young Transatlantic Leadership Program. Until March 24, we accept applications to this program for the first program tour to Montreal and Toronto this September. We would like to reach out to young professionals and students, who have already stood out through their professional or personal impact on a local or regional community, within your network. If you are interested, you can find the details to the tour here and the application form here. 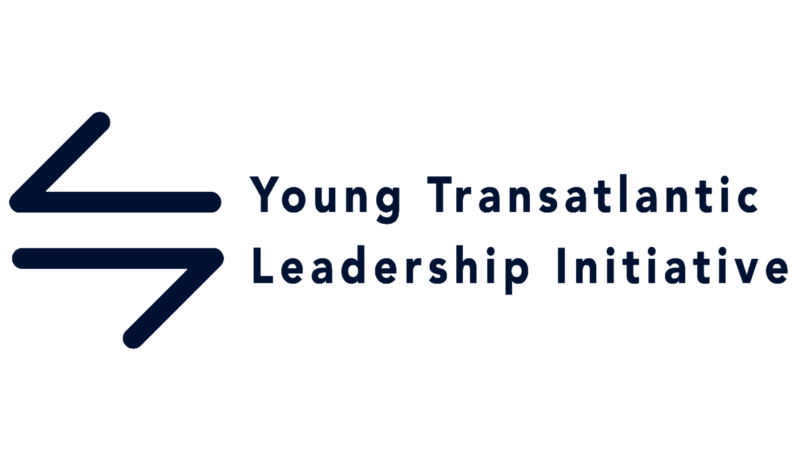 The Young Transatlantic Leadership program (YTL) is a joined initiative of the Young Transatlantic Initiative, Canada Meets Germany Network e. V. and the German-Canadian Association (see the program info for details). It is a truly transatlantic immersive leadership exchange format between Canada and Germany. While aimed at building a sustainable network of (young) leaders, the program’s core element consists of two-week study trips to Germany and Canada on an annually rotating basis. Its participants are to be empowered to play an active role during and also after the program. The participating young leaders are strongly encouraged to keep the spirit of this exchange alive also after the respective visits by, for instance, becoming active members in one of the organizations partnering in this, assisting with the planning of future country visits and/or alumni events, collaborating with other community leaders and by taking any other initiatives to foster the transatlantic network. The program’s vision is to discover and bring together the next generation of young leaders who share a similar interest, enthusiasm and commitment for the transatlantic relationship. Please visit our website to find all information: www.ytl-initiative.org and also follow us on Facebook, Twitter and Instagram. You are heartily welcome to join our Rhenish Maple Table Dinner in Bonn at the Restaurant “Bundeshäuschen”, Oberkasseler Ufer 4, 53227 Bonn on April 5, 2019 starting at 7 pm. Canadians and Canada Lovers are heartily welcome! www.bundeshaeuschen.de . Are you interested in joining the event? Then please Register via e-mail to Alexandra Dold rheinland@dkg-online.de. There will be our first reading with the travel editor and author Christian Dose on April 5, 2019 in Frankfurt. Christian will present his book “360 Kanada-Träume: Tipps für eine unvergessliche Reise im Land des Ahorns” (360 Canada dreams: tipps for an unforgettable trip to the maple Country)-The likeable author and Journalist from our region is also member of the DKG and an enthusiastical Canada Lover. The regional Group Bremen of the German-Canadian Association (DKG) meets regularly for a Canada-Meetup in Bremen on every third Wednesday of a month. Members and Canada Lovers as well as Canadians are heartily welcome to join our convival meeting while enjoying beer and also delicious Food at the Irish Pub Hegarty´s. We are Looking forward to meeting you. The next meetup will be on March 20, 2019! We invite all Canada Lovers and Canadians to another upcoming event organized by the German-Canadian Association and the KANDATREFF Community in Düsseldorf. How to get there by public transport: S-Bahn Düsseldorf-Bilk, S8, S11 and S28, the subway lines U71, U72, U73 and U83 as well as buslines 835, 836 and SB56. For further questions do not hesitate to contact us by e-mail (rheinruhr@dkg-online.de). With some delicous food at the “Sportrestaurant Neuwirtshaus“, Neuwirtshausstr. 199, 70439 Stuttgart we would like to exchange with all Canada Lovers and Canadians about – what else – our favourite country Canada on Saturday, April 27, 2019 starting at 4 pm. We are looking forward to seeing you there. Please let us know with how many people you are joining the event.